On September 12, 1918, Paul Dudley Abbott was working in Boston, Massachusetts. living at 512 Coolidge Drive, San Gabriel, Los Angeles County, California. 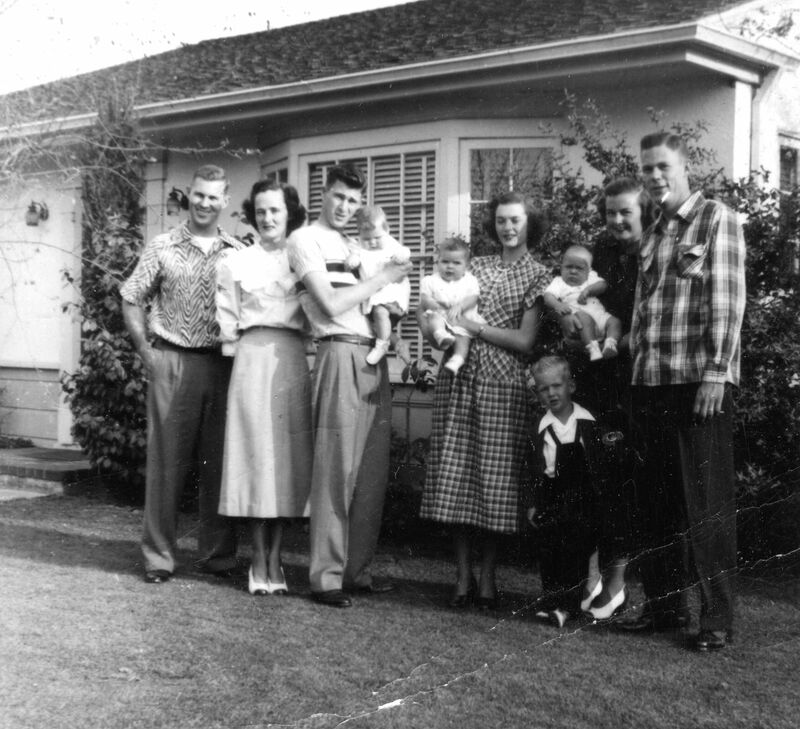 Abbott, Paul D (Madeline W) salesman, house 512 Coolidge dr.
Abbott, Paul D Jr., resides 512 Coolidge dr.
Abbott, Frank W, expeditor, resides 512 Coolidge dr.
Frank Jr., Bill, Linda, Kathy, Bud, Maureen, Paul D III, Janet, Madeline, and Marilyn Abbott. July 15, 1955. Lennart Carlsson, "Re: Paul Dudley Abbott," e-mail message from e-mail address to Steven G. Levine, 6/24/2002 6:29:54 PM. 1930 United States. Bureau of the Census. 15th census, United States, 1930 federal census : population schedules ; NARA microfilm publication T626, Washington, District of Columbia: Bureau of the Census Micro-Film Laboratory, ([19--?]) , Census Place: Inglewood, Los Angeles, California; Roll: 128; Page: 7B; Enumeration District: 1023; Image: 556.0. Sixteenth Census of the United States, 1940, Washington, D.C.: National Archives and Records Administration, (1940) , Census Place: San Gabriel, Los Angeles, California; Roll: T627_253; Page: 7A; Enumeration District: 19-693. Find A Grave Memorial# 85334683. Find A Grave Memorial# 121980747. He is the son of Paul Dudley Abbott Jr. and Dorothy Mae Hazelton. Paul Dudley Abbott III is online at https://www.facebook.com/paul.abbott.58. He was the son of Paul Dudley Abbott and Madeline C. Woodward. 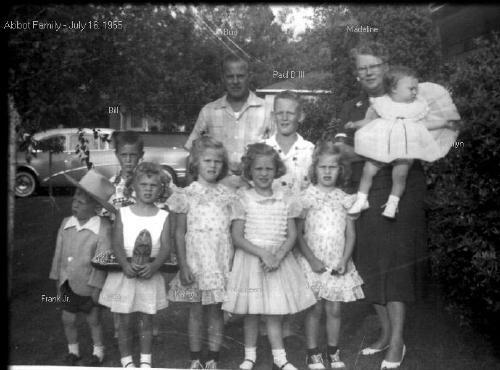 Paul married Dorothy Mae Hazelton. Electronic Army Serial Number Merged File, 1938-1946 [Archival Database]; World War II Army Enlistment Records; Records of the National Archives and Records Administration, Record Group 64, College Park, MD. : National Archives at College Park,. Find A Grave Memorial# 123016790. Find A Grave Memorial# 91522368. 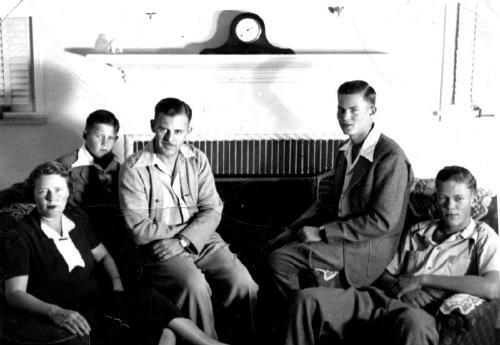 He is the son of Frank Warren Abbott Jr. and Janet Leighton Miller. Robert W. Abbott is online at https://www.facebook.com/robert.abbott.7796. 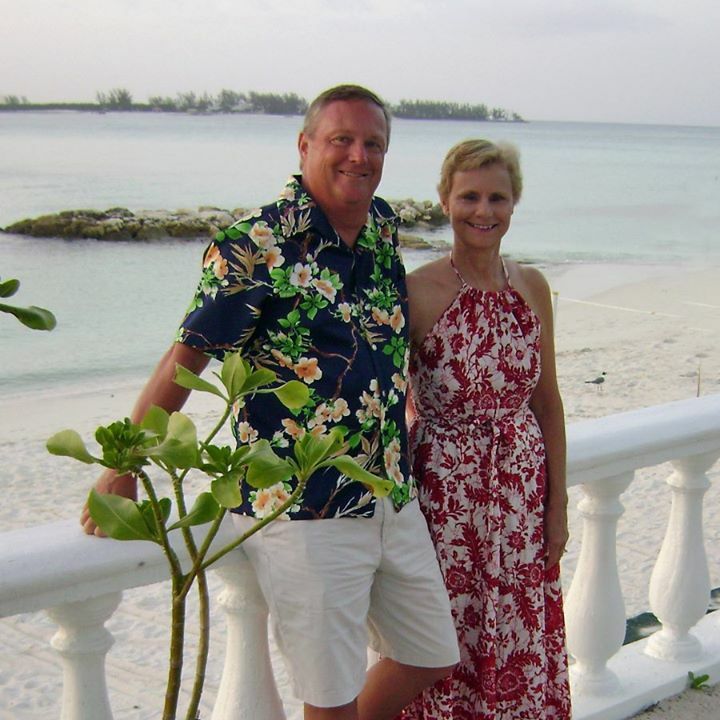 Bill Abbott is online at https://www.facebook.com/bill.abbott.549. Aaron Thomas Adams was born perhaps about 1984. Parents may be Thomas E. and Kathleen (Schwinn) Adams, q.v. Aaron Thomas Adams is online at https://www.facebook.com/aaron.adams.9480111. 1880 United States. Census Office. 10th census, 1880 federal population census, Washington, District of Columbia: National Archives and Records Service, ([19--]) , Census Place: Wells, York, Maine; Roll: 492; Family History Film: 1254492; Page: 652C; Enumeration District: 210; Image: 0205. "United States Census, 1900," database with images, FamilySearch (https://familysearch.org/ark:/61903/1:1:MMG4-H9T : 20 January 2015), Freeman H Penny, Wells town (all west of B.&M. r.r. ), York, Maine, United States; citing sheet 4B, family 99, NARA microfilm publication T623 (Washington, D.C.: National Archives and Records Administration, n.d.); FHL microfilm 1,240,603. "Maine Vital Records, 1670-1907 ," database with images, FamilySearch (https://familysearch.org/pal:/MM9.3.1/TH-1-17873-42434-11?cc=1803978 : 20 May 2014), Vital records 1892-1907 > Pelletier-Perkins, 1895 > image 3065 of 4106; State Board of Health, Augusta. "Maine, Marriage Index, 1892-1966, 1977-1996," database, FamilySearch (https://familysearch.org/ark:/61903/1:1:KCN4-5KD : 27 November 2014), Freman H Penney and Addie S Adams, 29 Apr 1899; citing Marriage, Maine, United States, State Archives, Augusta. "United States Census, 1920," database with images, FamilySearch (https://familysearch.org/ark:/61903/1:1:MF8H-1JY : 14 December 2015), Freeman Penney, Wells, York, Maine, United States; citing sheet 2A, NARA microfilm publication T625 (Washington D.C.: National Archives and Records Administration, n.d.); FHL microfilm 1,820,651. "Maine Vital Records, 1670-1921", database with images, FamilySearch (https://familysearch.org/ark:/61903/1:1:Q24N-RK55 : 6 October 2016), Esther S Penney, 1909. 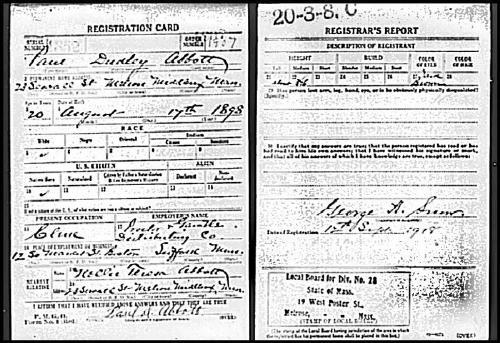 "United States Census, 1870," database with images, FamilySearch (https://familysearch.org/ark:/61903/1:1:M6DC-7C6 : 17 October 2014), George Adams, Maine, United States; citing p. 54, family 449, NARA microfilm publication M593 (Washington D.C.: National Archives and Records Administration, n.d.); FHL microfilm 552,064.Census Place: Wells, York, Maine; Roll: 492; Family History Film: 1254492; Page: 652C; Enumeration District: 210; Image: 0205. "United States Census, 1900," database with images, FamilySearch (https://familysearch.org/pal:/MM9.3.1/TH-266-11807-30451-60?cc=1325221 : 5 August 2014), Maine > York > ED 260 York township (part of) > image 26 of 34; citing NARA microfilm publication T623 (Washington, D.C.: National Archives and Records Administration, n.d.). 1900 United States. Census Office. 12th census, 1900 population census schedules, Washington, District of Columbia: Bureau of the Census Micro-Film Laboratory, ([197-]) , Census Place: Wells, York, Maine; Roll: 603; Page: 11A; Enumeration District: 0257; FHL microfilm: 1240603. "United States Census, 1930," database with images, FamilySearch (https://familysearch.org/ark:/61903/1:1:XMDN-293 : accessed 29 November 2016), Jennie H Adams, Wells, York, Maine, United States; citing enumeration district (ED) ED 59, sheet 16A, line 8, family 3, NARA microfilm publication T626 (Washington D.C.: National Archives and Records Administration, 2002), roll 842; FHL microfilm 2,340,577. "United States Public Records, 1970-2009," database, FamilySearch (https://familysearch.org/ark:/61903/1:1:2M8G-GL4 : 23 May 2014), Denise M Dillon, Residence, Lansing, Kansas, United States; a third party aggregator of publicly available information. "Maine Vital Records, 1670-1921", database with images, FamilySearch (https://familysearch.org/ark:/61903/1:1:Q24J-DG96 : 6 October 2016), John H Walsh and Edith R Adams, 1921. 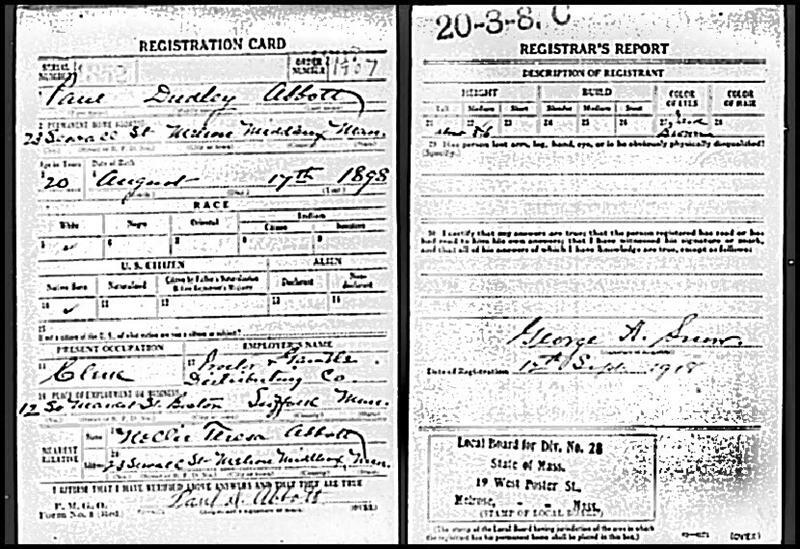 "United States Census, 1930," database with images, FamilySearch (https://familysearch.org/ark:/61903/1:1:XQP2-MCN : accessed 9 December 2016), John H Walsh, Somerville, Middlesex, Massachusetts, United States; citing enumeration district (ED) ED 412, sheet 13A, line 33, family 291, NARA microfilm publication T626 (Washington D.C.: National Archives and Records Administration, 2002), roll 927; FHL microfilm 2,340,662. William Richard Cutter, Genealogical and personal memoirs relating to the families of Boston and eastern Massachusetts, New York: Lewis historical Pub. Co., (1908) , Vol. 3, p. 1629. Vital records of Medfield, Massachusetts, to the year 1850, Boston, Mass. 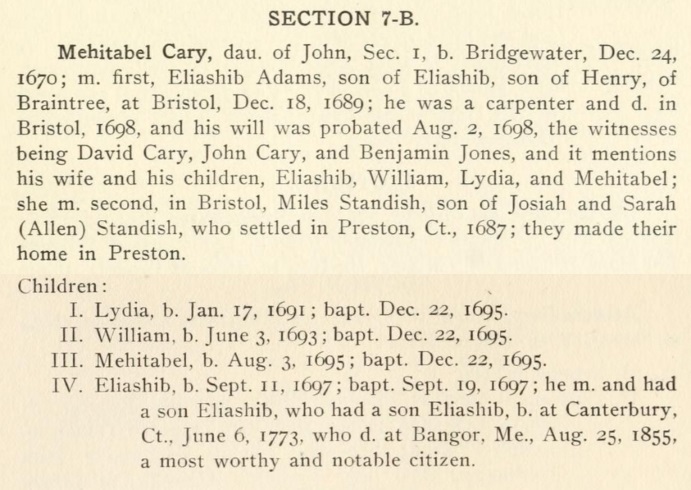 : New England Historic Genealogical Society, (1903) , p. 9. 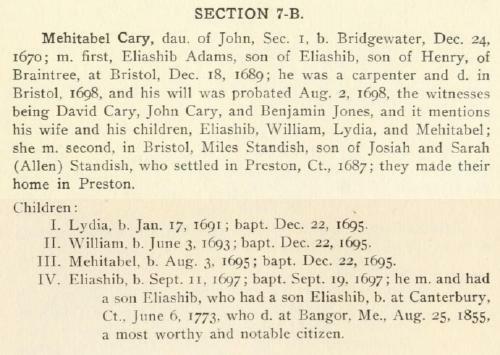 "Rhode Island, Marriages, 1724-1916," , FamilySearch (https://familysearch.org/ark:/61903/1:1:F8VQ-6ZW : accessed 16 August 2015), Elisha Adams and Mehitable Carey, 18 Dec 1689; citing Bristol, Bristol, Rhode Island, reference ; FHL microfilm 912,787. Seth C. Cary, John Cary, the Plymouth pilgrim, , at https://books.google.com/books?id=oDgcAAAAYAAJ . Boston, Massachusetts: (1911) , p. 67, section 7-B. Seth C. Cary, John Cary, the Plymouth pilgrim, Boston, Massachusetts: (1911) , p. 68, section 7-B. 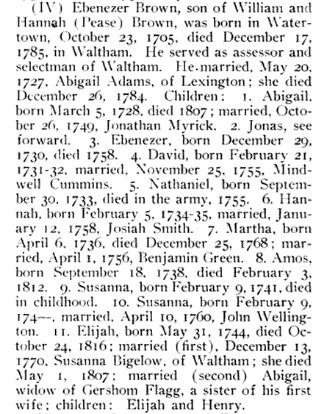 "Rhode Island, Births and Christenings, 1600-1914," , FamilySearch (https://familysearch.org/ark:/61903/1:1:F8MK-87P : accessed 16 August 2015), Elisha Adams, 11 Sep 1697; citing Bristol, Bristol, Rhode Island, reference p 135; FHL microfilm 912,787. Seth C. Cary, John Cary, the Plymouth pilgrim, , at https://books.google.com/books?id=oDgcAAAAYAAJ . Boston, Massachusetts: (1911) , p. 68, section 7-B. "United States Census, 1920," database with images, FamilySearch (https://familysearch.org/ark:/61903/1:1:MF8C-HPF : 14 December 2015), Frank M Adams, York, York, Maine, United States; citing sheet 1B, NARA microfilm publication T625 (Washington D.C.: National Archives and Records Administration, n.d.); FHL microfilm 1,820,651. George married Rachel Hale, daughter of Benjamin Hale and Mary L. "Polly" Shaw, on July 4, 1848 in York, York County, Maine. living at York, York County, Maine.